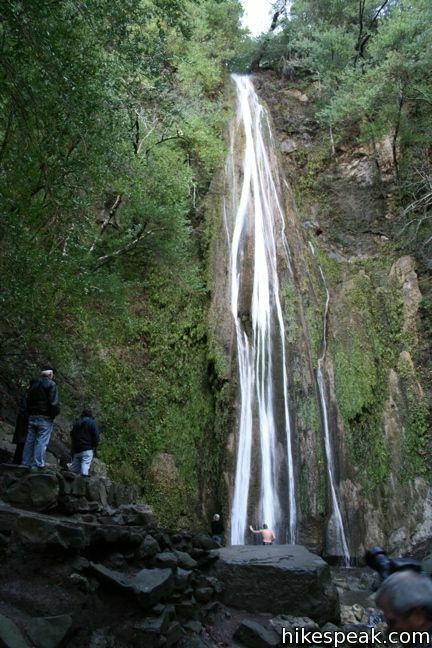 Nojoqui Falls Parks is located just off Highway 101 north of the Gaviota Tunnel between Santa Barbara and Buellton. 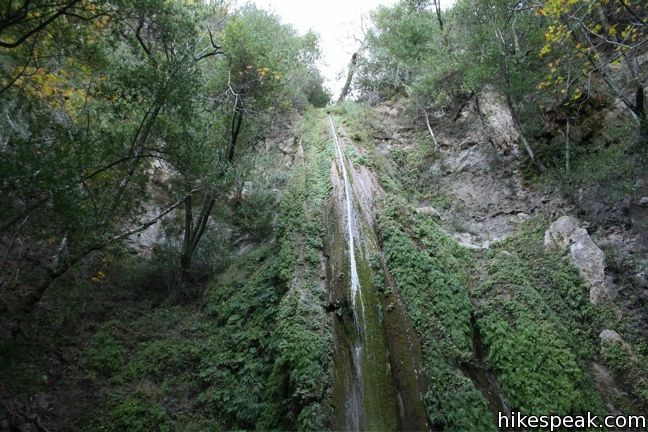 In addition to picnic tables and playing fields, the park offers a short hike to an eighty-foot waterfall. 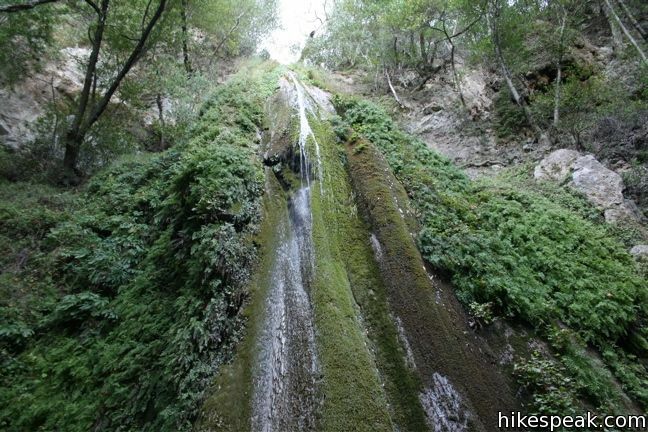 This two-thirds of a mile round trip trail ascends 175 feet up a shaded canyon to the enchanting Nojoqui Falls. 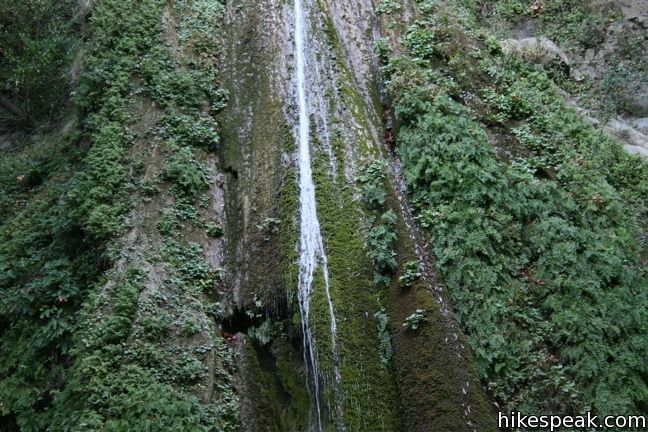 There are no junctions on the way to Nojoqui Falls. Just stick to the wide trail as it passes through an old forest of oaks and laurels. 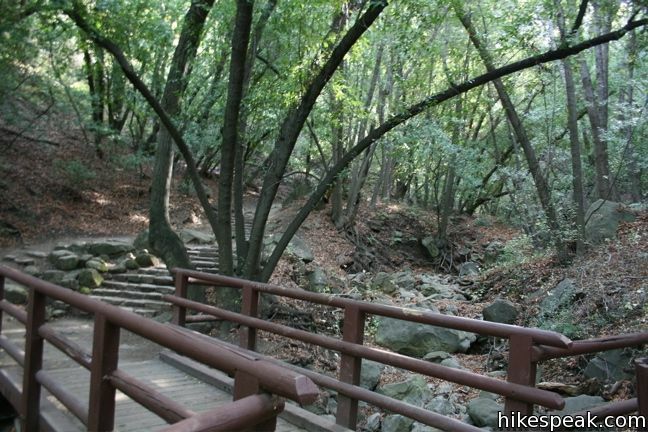 Halfway up, the trail enters the canyon below the falls, crossing a wooden bridge and climbing stone steps on the left bank of the creek. 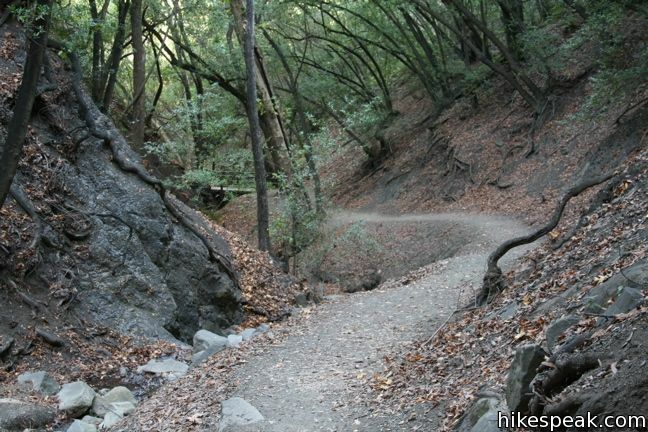 The trail crisscrosses the canyon and arrives at a stone viewing platform at the base of the falls. 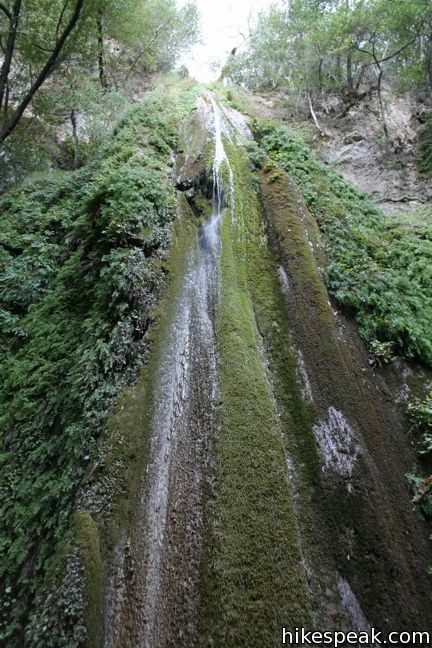 Overhead, Nojoqui Falls cascades down an 80-foot wall of fern-lined sandstone. 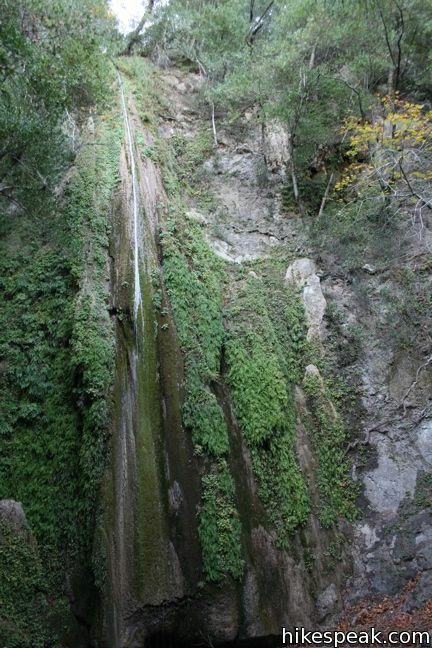 This year-round attraction peaks in early spring when the falls are fullest, but Nojoqui Falls remains picturesque in the autumn when the waterfall is reduced to a slender ribbon of water flowing down a lush green tapestry. 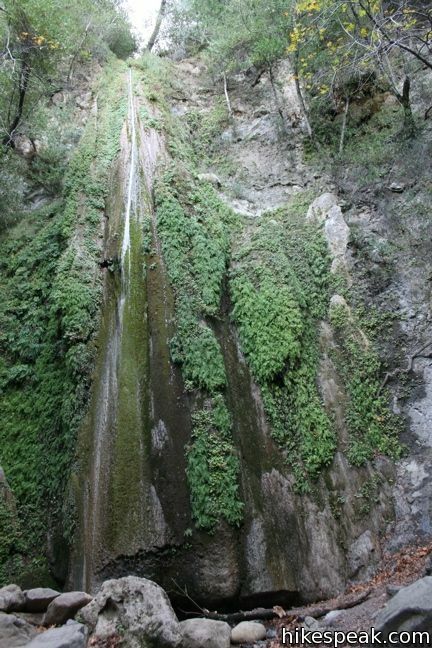 After heavy rains, Nojoqui Falls expands from a trickle to a torrent, becoming a truly powerful sight. Unfortunately, the Chumash word Nojoqui is pronounced na-hoo-ee and not no-joke-ee, which would have been more humorous to their English speaking successors. 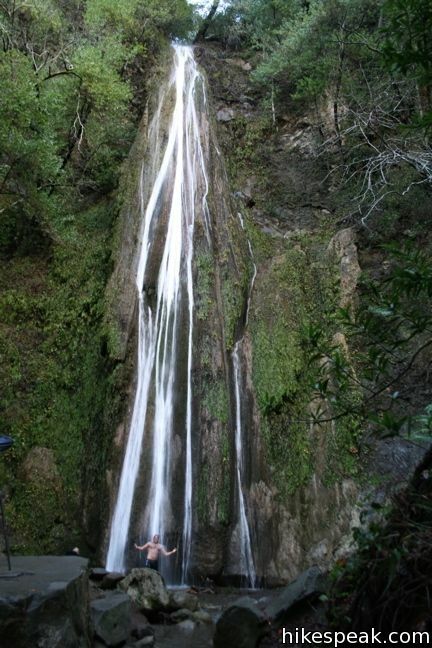 Regardless of the name, the waterfall is a beautiful sight, certainly worthy of the short hike (no joking). After enjoying the falls, simply return the way you came. The entire hike takes about 20 minutes. 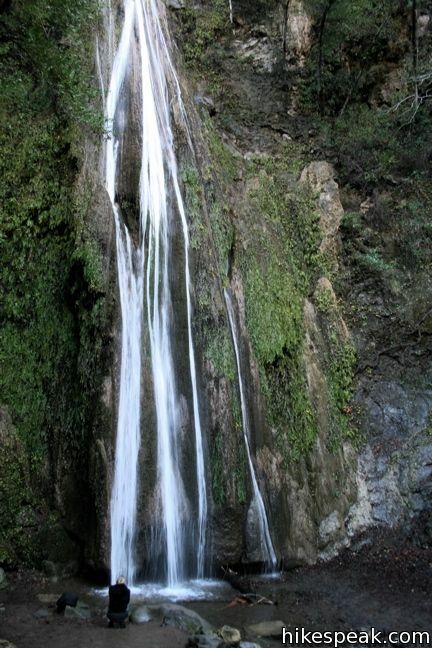 While this is not enough time to work up a sweat, visiting the falls is a nice activity for anyone driving on the 101 and looking for a quick break. Those spending more time in Nojoqui Falls Park can make use of the picnic tables, BBQ pits, and ball fields. The park is free to the public and dogs are welcome on leash. To get to the trailhead: From Santa Barbara, take Highway 101 north. Drive 5.4 miles past the Gaviota Rest Area and turn right on La Lata Place, following signs for Nojoqui Park. Take La Lata Place for one mile and make the first left on Alisal Road. 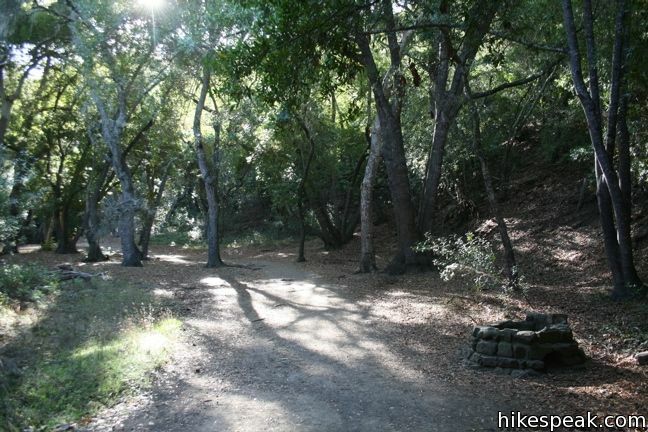 After 0.8 miles, turn right into Nojoqui Falls Park. Follow the road through the park to the left and toward the mountains. Restrooms are located in front of the cul-de-sac at the trailhead. The park is free to the public and dogs are welcome on leash. 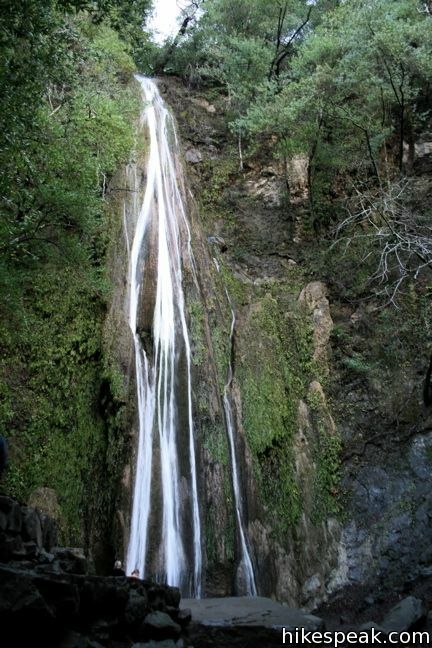 To get to Nojoqui Falls Park from the north, from the city of Buellton, take Highway 101 south for 4.7 miles and turn left following signs for Nojoqui Park onto La Lata Place. Make the first left on to Alisal Road and proceed to the park as described above. These photos were taken in November of 2010 and January of 2011. Click to enlarge. This 6.5-mile loop tours scenic ridges in Gaviota State Park to arrive at a soaring overlook above the Gaviota Tunnel. 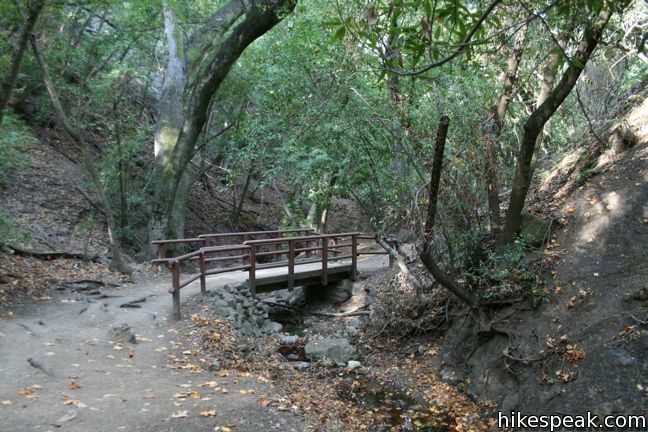 This short hike visits a warm hot springs along the trail to Gaviota Peak in Gaviota State Park. 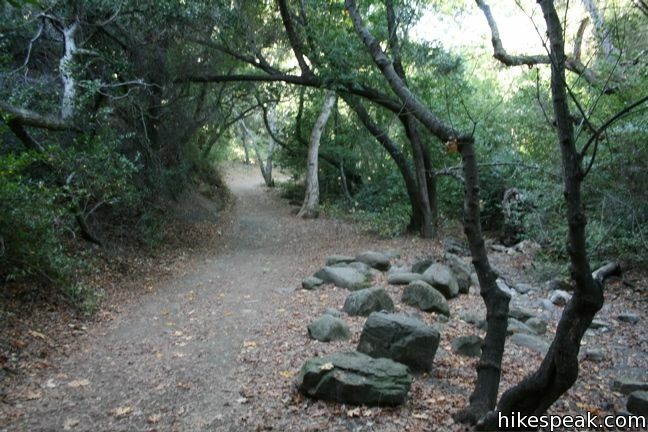 This 6.5-mile loop mounts a 2,458-foot summit two miles from the Pacific and then descends Trespass Trail to explore the wilds of the Santa Ynez Mountains. This 2.6-mile loop steals a view over Highway 101 and the Gaviota Tunnel. This 2.5-mile hike just off Highway 101 visits wind-carved caves in Gaviota State Park with great ocean views. 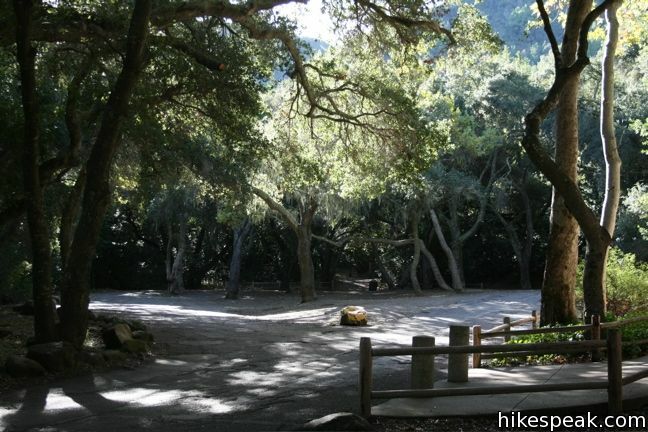 This invigorating 8.4-mile round trip hike offers views of Lake Cachuma as it climbs the Santa Ynez mountains to views of Santa Barbara and the Pacific. Explore other destinations along the California coast between Ventura and Monterey, including trails in Los Padres National Forest. 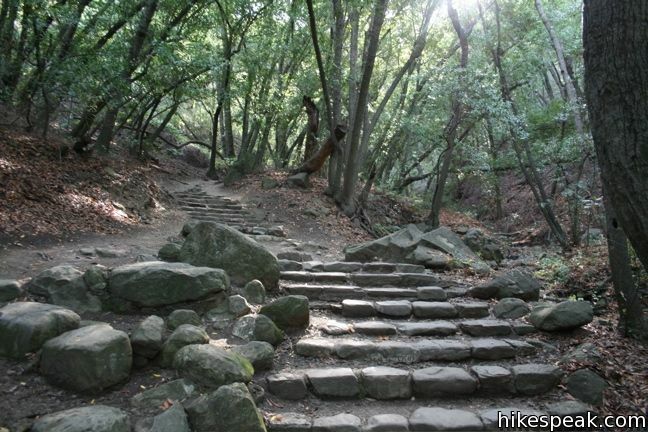 This 1-mile round trip trail leads to the lower tier of a lovely two-tier 300-foot waterfall. 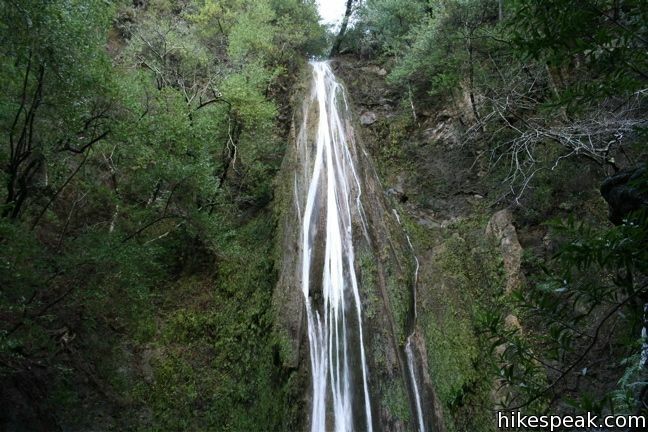 This short hike visits a fine 120-foot waterfall near the start of Salmon Creek Trail. 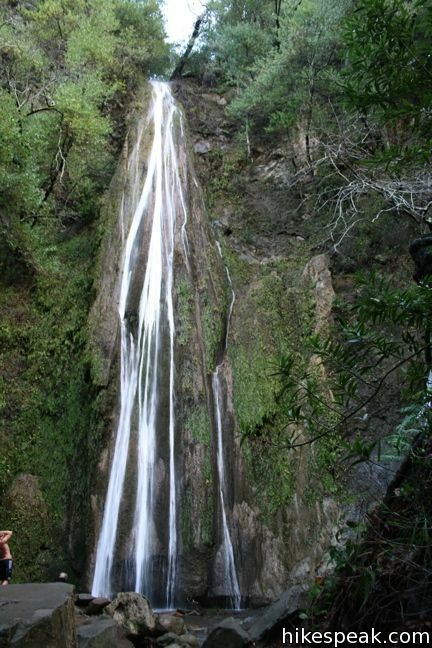 This 0.6-mile hike looks out on a stunning Big Sur waterfall that pours 80 feet right on to the beach. 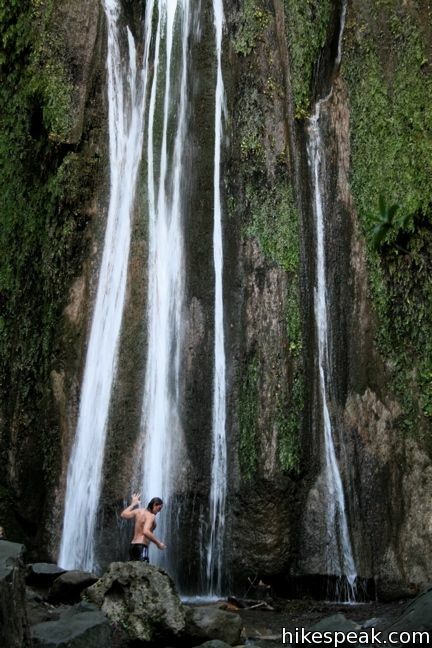 Nice pictures, good to see the waterfall flowing so well. 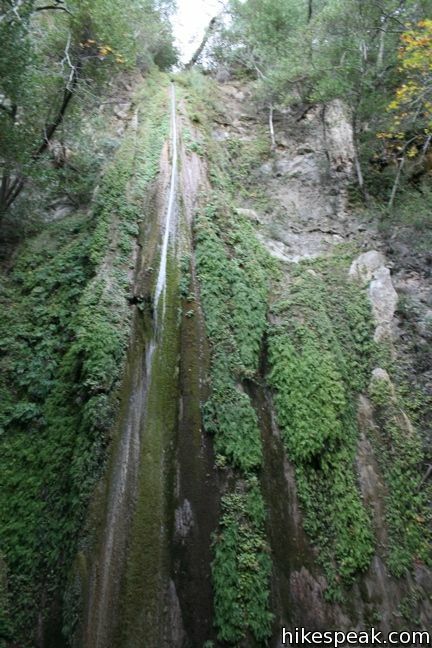 Nojoqui Falls in Santa Barbara County? I just did this short hike and the falls were totally dry. It’s still a pretty hike. I’ll be back again in early spring to catch the falls flowing! 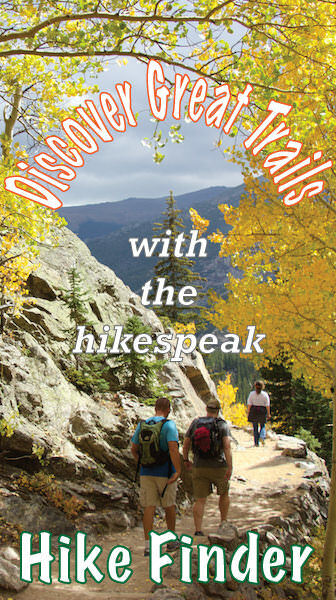 saving this now – planning for a spring hike. How is the water there? Still any flowing or is it dry? Trail is closed due to rockslide right near falls from heavy rainstorm in Dec. Temp fencing and warning signs didn’t seem to discourage many hikers though. This trail is still closed as of this week. Does anyone know if this trail will be open by the 27th? Or if it is open now? Can someone tell me if the trail is open now? 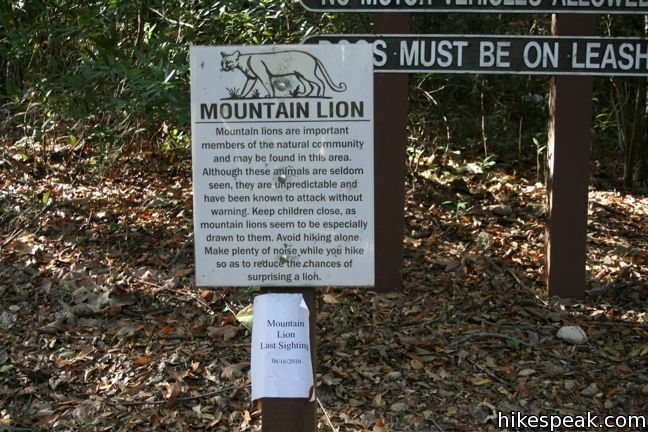 I would also like to know if the trail in open… If not we’ll just have to climb! I am wondering if the trail is opened and if there is any water falling. The trail is still closed as of July 4th, 2015 weekend. I am also wondering if the trail is open and if there is any water falling. I’m wondering if the trial has open or not? Trail is still closed as of 12/26/2015. Ranger told us there have been two landslides, and a boulder is blocking the trail, so it is closed indefinately. Is the trail open yet? Does it have water? Hi all. We went to the falls yesterday. There is nothing more than what I would call a trickle. The landslide happened just in front of the falls. There is a posted sign warning to go no further, but a footpath has been created by people ignoring the sign and fence that traverses the (mostly) dry creek bed. Is the trail open? I’ve been wanting to take my daughter there. Last year, after it closed, I heard that there was a fracas involving the police and the on-ranger. Maybe there needs to be a change of personnel in charge of this park? Well, on March 3 the waterfall was dry. We had some pretty good rain yesterday (all day). Does anyone know if there is a waterfall? I am planning on going there this afternoon with my daughter. Is the waterfall open and is there any water coming down? Has anyone been there recently 6/12/16? Thank you in advance. Are dogs allowed on the hiking trails? 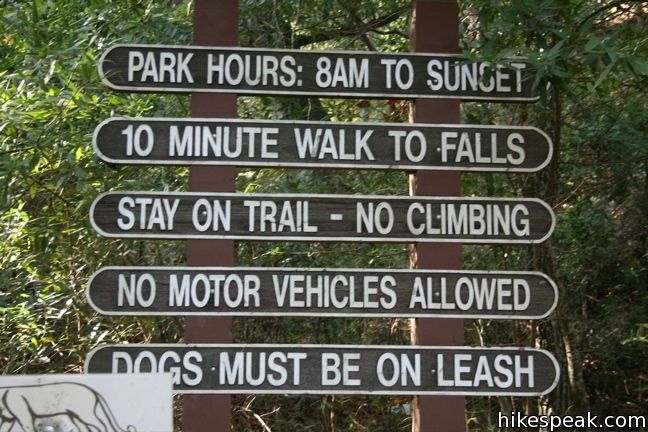 Dogs are allowed on the hiking trail. Also the trail is still closed right before the falls but as others have stated there is a path simply walking around the close barrier. Only a few drops coming down the falls. What does the name Nojoqui mean? Careful here. My moms car was broken into on November 18, 2016. If anyone was there on that day please let me know. Someone smashed out her window and stole her purse and everything in it. Very weird that everyone said they didn’t hear anything. Doesn’t seem to be a safe place. Too bad I didn’t read your post sooner. We were there Dec. 30, 2016, a couple of days ago, and the same thing happend to us. I wish they had signs posted as we were the SIXTH break-in in two weeks. Thank you guys for giving a heads up about the break-ins. I’m glad I read this. I really wanna see this spot but now I know to uber there or something. 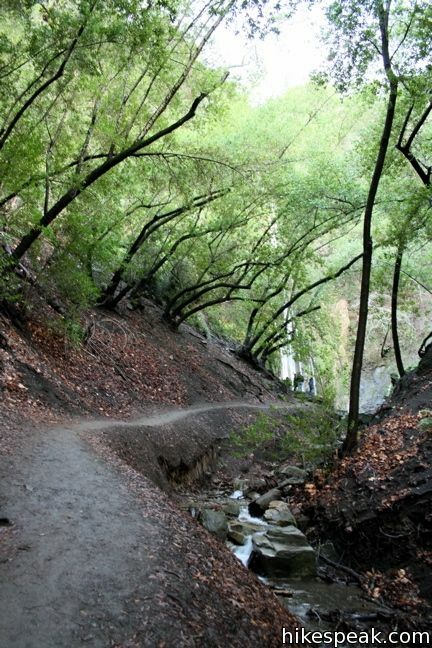 Can you hike clear up to the falls yet, or is the trail still closed just before the falls? The top 200 feet remains closed indefinitely. Too much debris still falling which makes it unsafe.